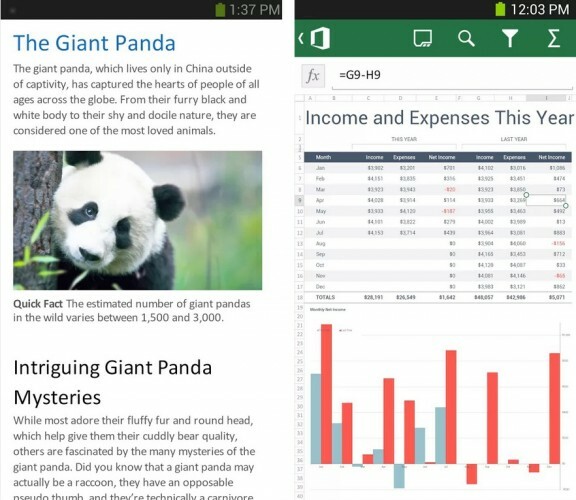 Last month Microsoft released Microsoft Office Mobile for iOS, today, they’re releasing it for Android devices. There’s still no tablet-optimized version for Android, just like there’s none for the iPad. The new app will require an Office 365 subscription and is available in the Google Play Store. The Microsoft Office Mobile suite brings you Word, Excel, and PowerPoint. You can download it now in the Google Play Store.